I liked the fact that Robert worked every issue out to where there was no guessing needing... GREAT course! I learned so much in one week it’s hard to believe! Having an instructor who has so much passion for what he does makes all the difference in the world! Great course, thank you so much! Had a blast at school! 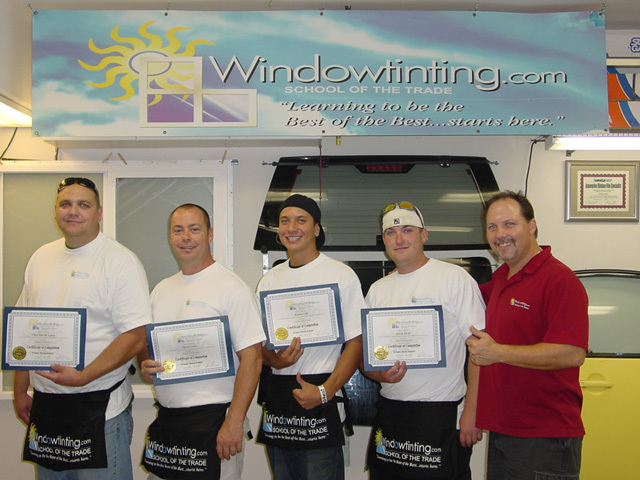 Windowtinting.com is definitely the “School of the Trade”. Robert is an awesome teacher, great instructions, great knowledge, and I cannot thank him enough for helping me out so much! Great Class! Very informative and will point you in the right direction into a great career field with the knowledge on how to excel past the competition.